An 18-year-old man has been bailed on suspicion of murder after a man's body was found by the side of a road in Birmingham. The body of 20-year-old David Beet was found in Ellen Street, Spring Hill, on Monday. An 18-year old from Ladywood was arrested later that day. Post-mortem tests are ongoing to establish the cause of death. 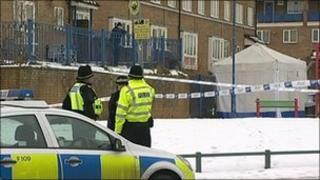 Police investigations are continuing and anyone with information should call West Midlands Police or Crimestoppers.